(Newser) – One of the most famous skyscrapers in the world is up for sale. 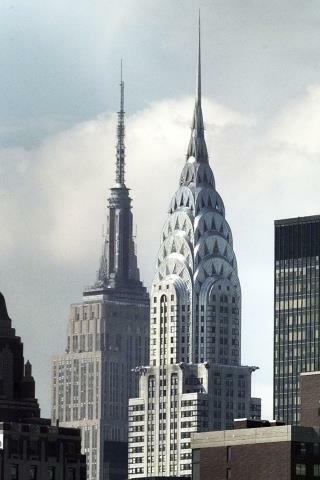 The Chrysler Building of New York City, which briefly held the title as the tallest building in the world, is on the market, reports the Wall Street Journal. The building is currently owned by a government fund out of Abu Dhabi, which paid $800 million for a 90% stake in 2008, along with developer Tishman Speyer. The building went up in 1930 and earned the world's-tallest title thanks to some last-minute subterfuge: Its builders tacked on a secret 185-foot-high spire to edge out the Bank of Manhattan, which was going up around the same time. Both buildings, however, were eclipsed by the Empire State Building the following year. How would you demolish something like that without having access to shady gov. agencies. No doubt the largest Art-Deco "sculpture" in the world...…..